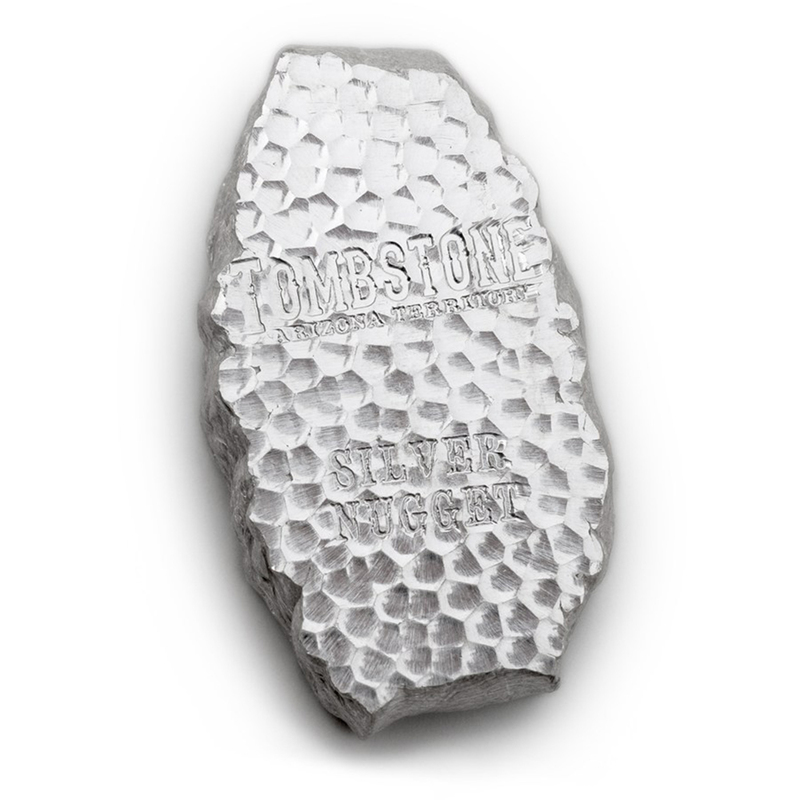 The obverse of the Scottsdale 5oz Tombstone Silver Nugget features the stamped words 'TOMBSTONE Arizona Territory', beneath this is 'Silver Nugget'. 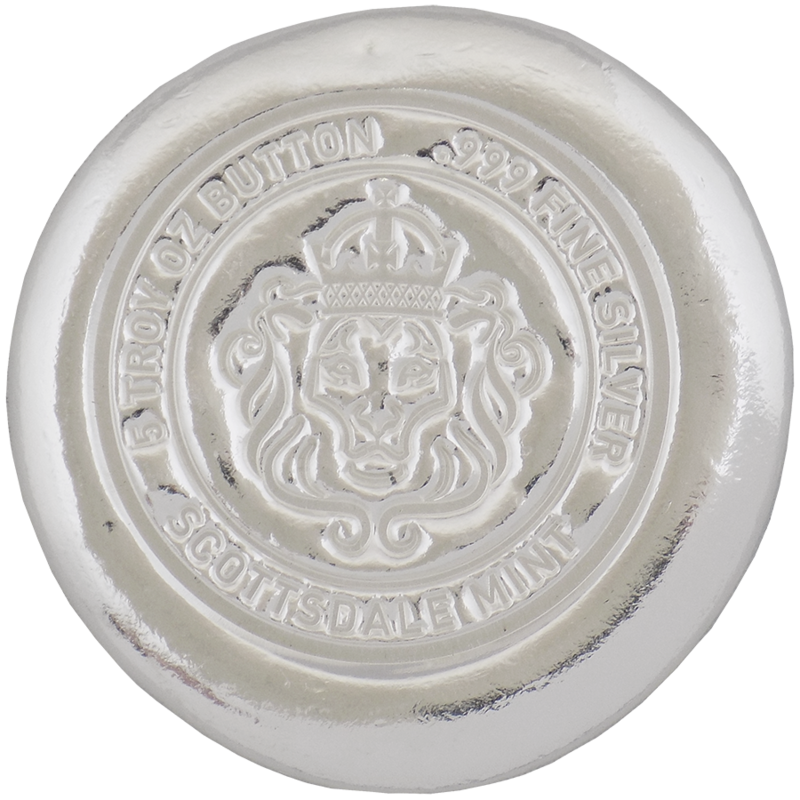 The reverse of the bar features the Scottsdale Mint stamp. Details of the weight (5oz) and fineness (999.0) feature on the reverse of this bar. 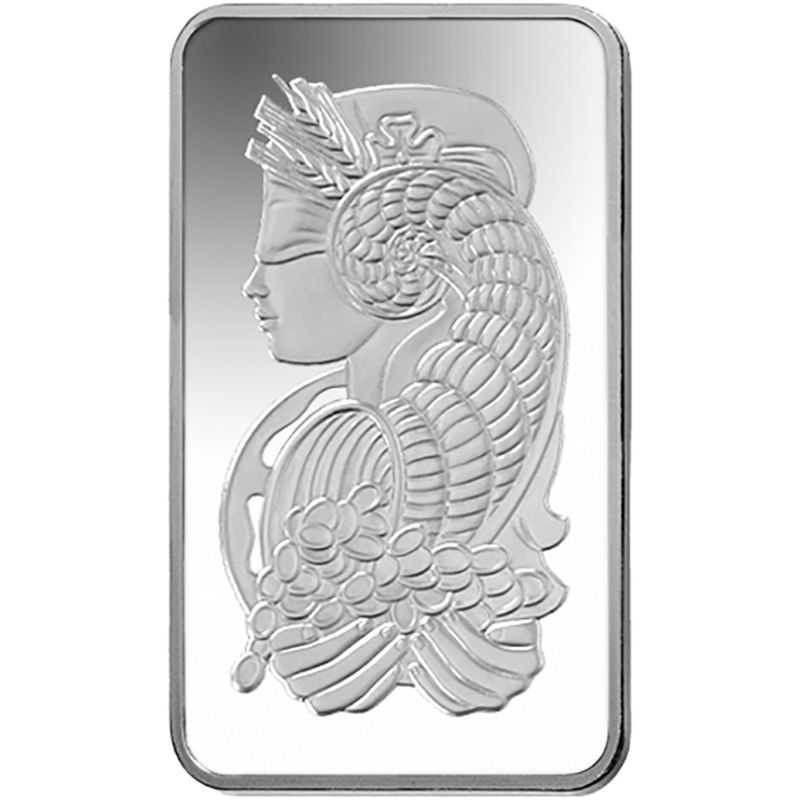 This bar weighs 5 Troy Ounce and is 999.0 Fine Silver. 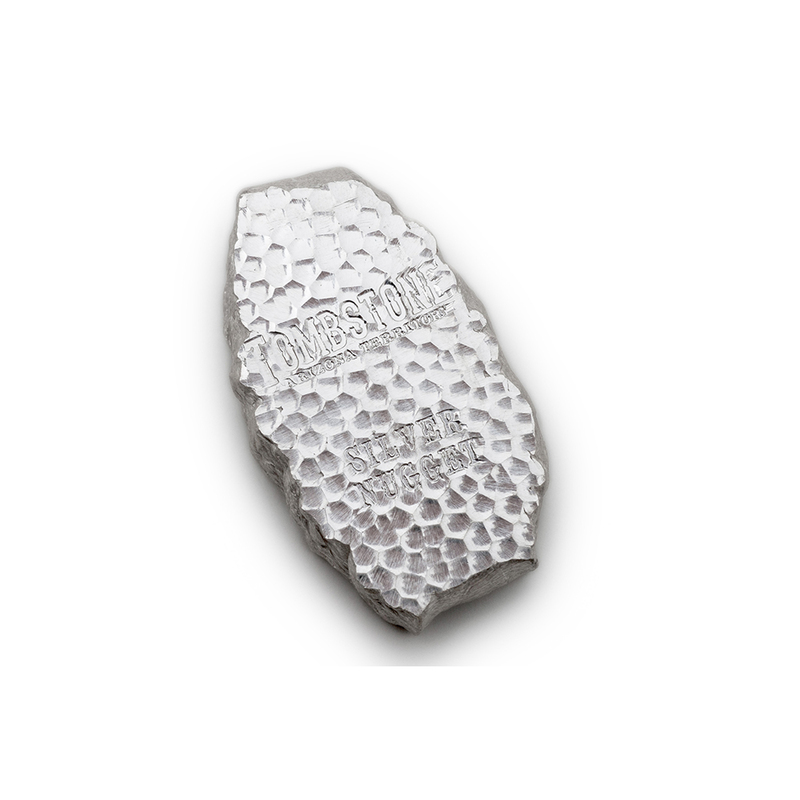 Comes with a Certificate of Authenticity from the Scottsdale Mint. Each bar comes packed in a exclusive draw-string canvas bag. Each bar is crafted to be unique and each one varies just a touch. Bars are NEW from manufacturer. 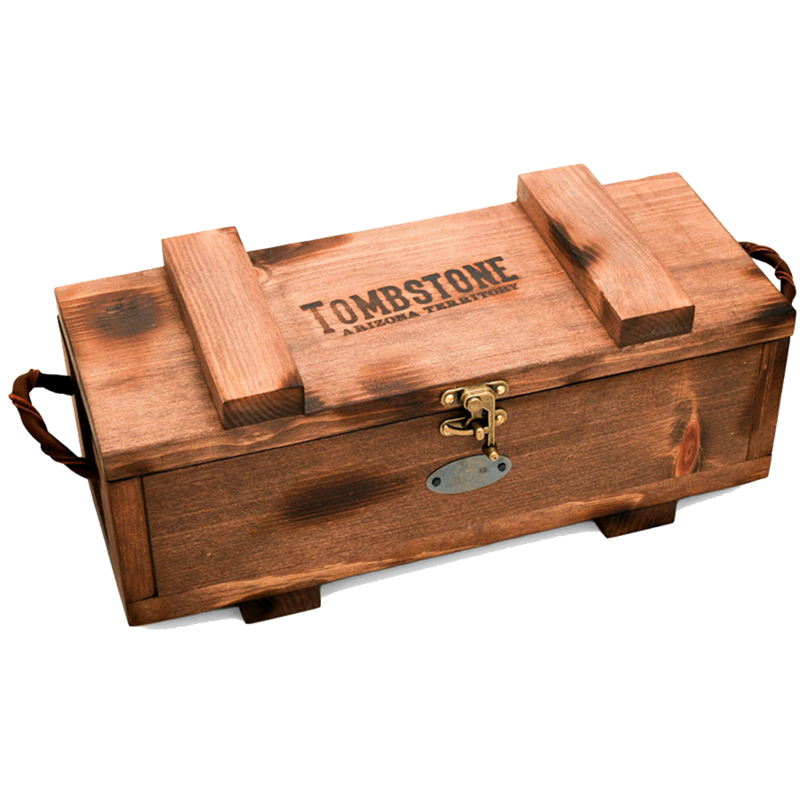 Own a piece of the Old American West. 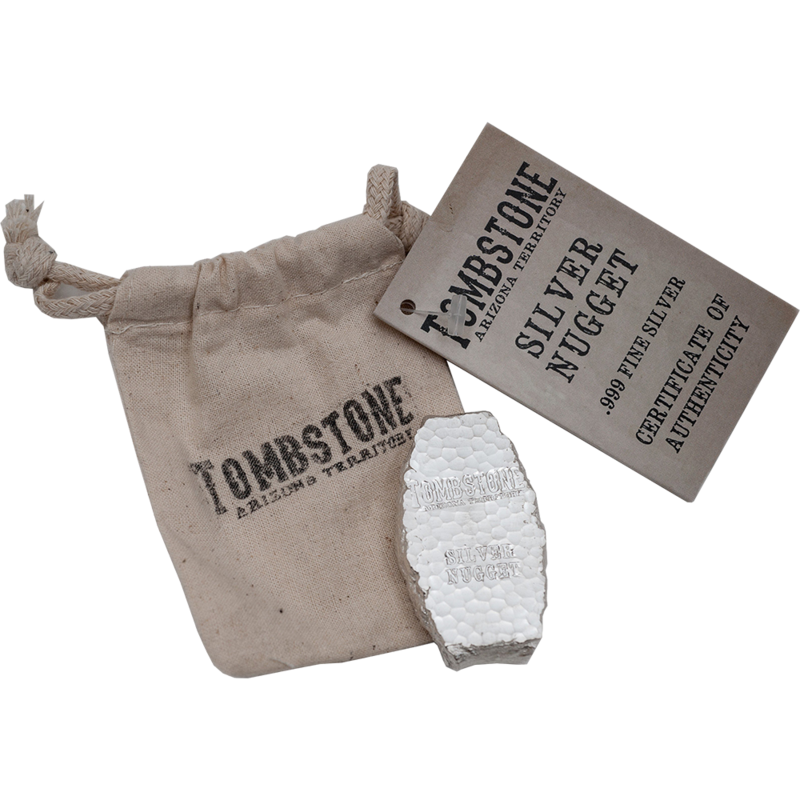 These Silver Bars are crafted in the historic town of Tombstone, Arizona. 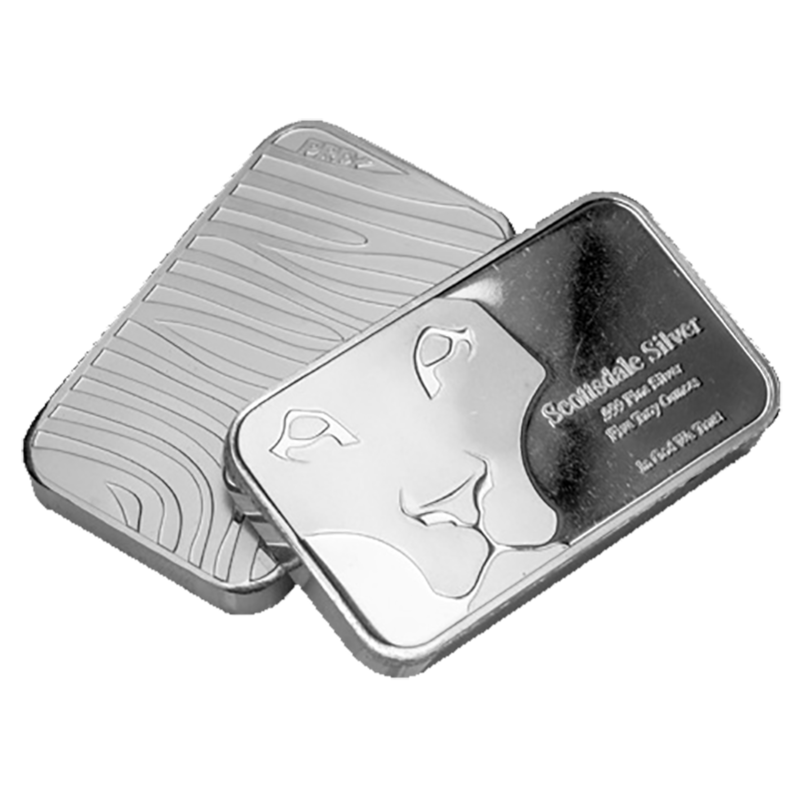 The Old American West has provided much history and folklore, and these Silver bars continue this interest. Each bar is finished to an extremely high quality, the rugged look of the bar and purposely dimpled texture helps to give you the appearance of a raw nugget. 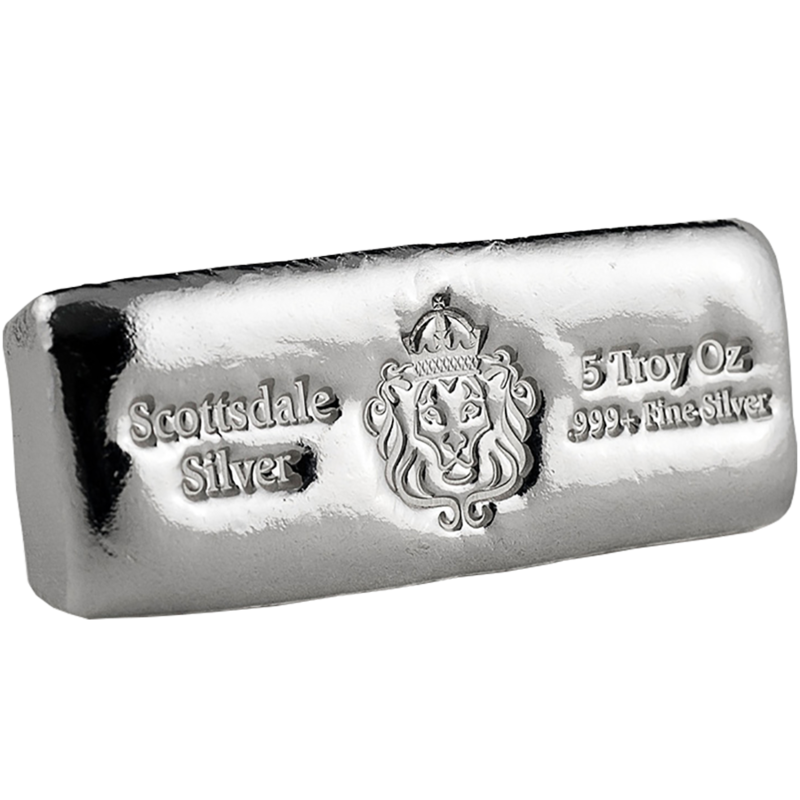 These bars are manufactured & supplied by Scottsdale Mint. 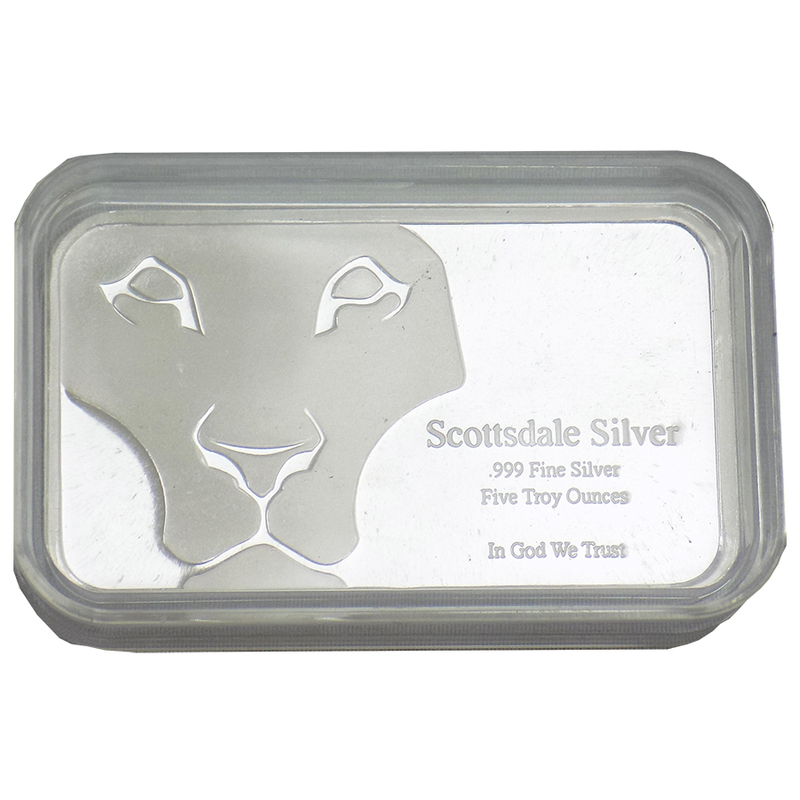 We purchase these bars direct from Scottsdale Mint.